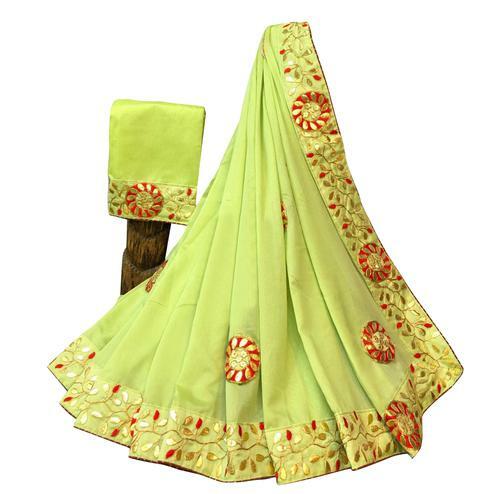 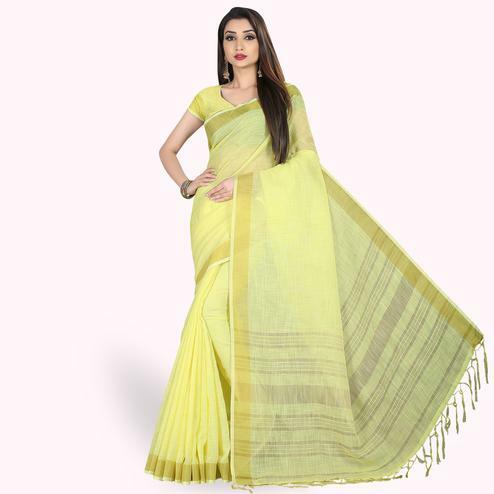 This yellow - green saree is fashioned on brasso fabric and further beautified with geometrical design digital print and solid border. 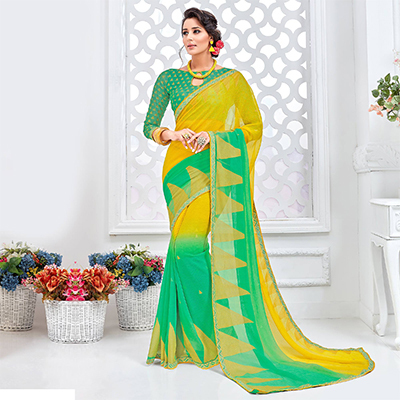 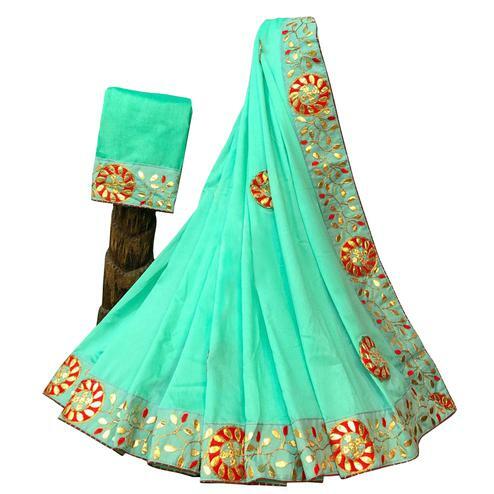 Saree comes along with green colour printed unstitched blouse piece, which can be stitched as per your style & requirement. 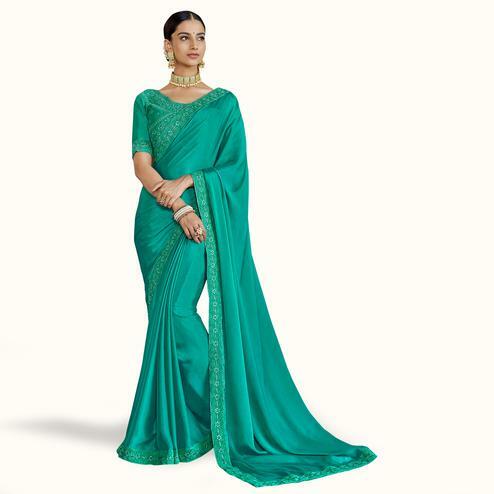 It's a perfect saree to wear for kitty parties, causal outing & family get together.